Learn how tarot cards can unlock the secrets of the past, present, and future in the latest book of the Modern Witchcraft series. For centuries, witches have used the tarot to seek insights into the past, present, and future. Today, a new generation is discovering the wonder of divining through the cards. Expert tarot reader Skye Alexander shares the many meanings of the cards within the Major and Minor Arcana. 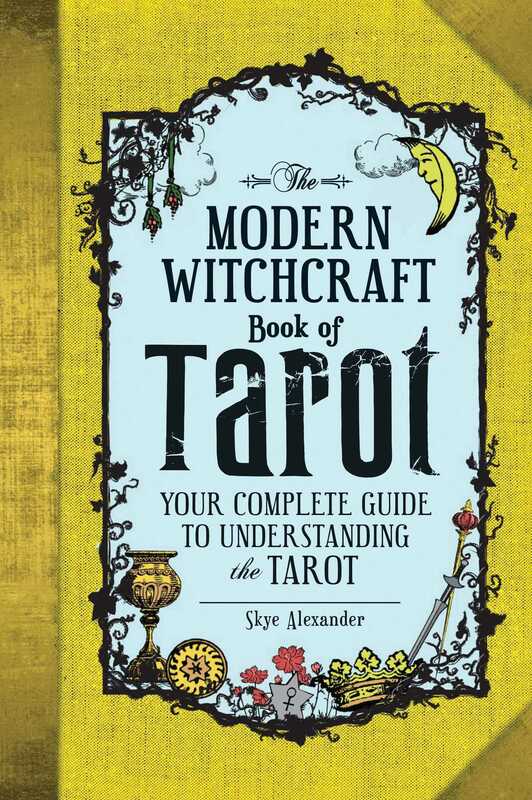 Featuring twelve of the most popular spreads and easy-to-follow explanations of how tarot readings can be interpreted, The Modern Witchcraft Book of Tarot is the essential guide for successful, insightful tarot readings. "This is one of the most informative books I’ve read about the Tarot in a long time – it ranks up there with books by Mary K. Greer and Sallie Gearhart. Written from a Wiccan point of view, it is definitely a modern book – it talks about the history of the Tarot but then brings it fully into the 21st century. Filled with quotes and charts and correspondences of all kinds, it’s far more than just a book about the Tarot. It’s a guidebook par excellence. I can’t recommend this book too highly. It is my new favorite Tarot book. Everything about it is wonderful."